Troubleshooting your opener or finding the correct replacement part is difficult if you don't have the garage door opener manual. 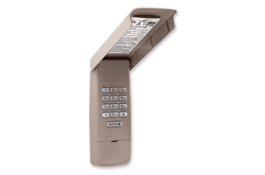 Below you can download the manuals for the Pilot II 8365RGD and Pilot II 8365WRGD-267 Raynor garage door openers. You'll find instructions for installing the openers, adjusting the opener sensitivity, making adjustments to the travel limits, programming instructions for remotes and keypads. You'll usually find the opener parts list on the last 4 to 5 pages of the manuals if you're looking to repair or replace a part of the opener. You can download the PDF file of the Raynor Pilot II models 8365RGD or 8365WRGD below. Scroll down to view the 8365RGD model online. Click on Fullscreen in lower right corner to view the manual of the Pilot 8365RGD Installation Manual. You can download the manual for the 8365WRGD model above. Get free Adobe Reader software for viewing PDF files if you don't already have it.